Cementing his status as one of the all-time greats of the game, Steve O'Dwyer has conquered the closing £10,000 High Roller at the nine-day partypoker LIVE MILLIONS UK tour for £314,000 ($410,027). It was O'Dwyers second win of the series after winning the 25k earlier this week. With the win, O'Dwyer closes in on 25 million in lifetime winnings over the course of his highly acclaimed live poker career and will jump back in the top 10 of the Hendon Mob All-Time Money List, overtaking David Peters. 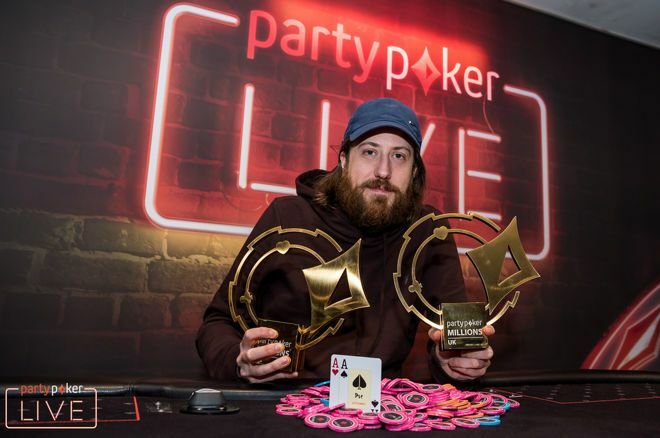 O'Dwyer topped a 105-entry field that showed up for the £10,000 event in the Dusk Till Dawn casino in Nottingham, UK. 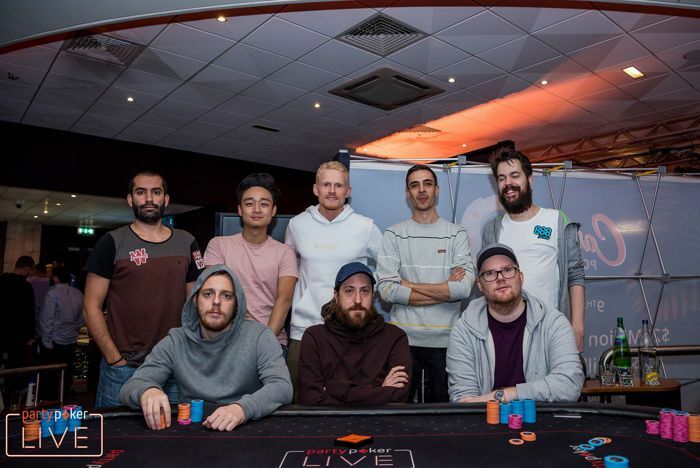 As one might expect in these fields, O'Dwyer had to overcome a stacked final table that included Preben Stokkan, Dominik Nitsche, and Joao Vieira. Heads-up, O'Dwyer defeated Gianluca Speranza to claim his second trophy of the week. In total, O'Dwyer won £764,000, nearly a million US dollar ($996,304), at the partypoker LIVE MILLIONS UK series. After no fewer than 49 direct buy-ins were made on Day 2, the field was bumped to 105 entries and the £1,000,000 guarantee was met. Thirteen players advanced to Day 3 and eleven of them would finish in the money. Two would be left empty-handed; Anton Wigg and Mustapha Kanit would be the ones missing out on the £22,500 min-cash. After a long money-bubble, Kanit ran pocket jacks into the aces of Dominik Nitsche to become the final player to leave without a cash prize. Spanish hopefuls Juan Pardo and Adrian Mateos, as well as Uruguayan Fabrizio Gonzalez, would bust out before the official final table was set. It was a solid week for Gonzalez regardless, who finished runner-up to O'Dwyer in the 25k earlier to leave the UK with over £300,000 in winnings. Anthony Elliot and Joao Vieira were the first to go from the final table. Ellliot ran his ace-jack into Nitsche's ace-king, while Vieira's came up short with his ace-king against Michael Zhang's pocket eights. The remaining Brits Chris Brammer and Zhang fell in sixth and fifth, respectively. It was Brammer who fell to Zhang, losing pocket tens against his countryman's ace-queen. Despite busting two in a row, Zhang would be the one to bow out next. On the button, he four-bet shoved ace-jack into O'Dwyer's pocket kings and didn't catch more than a jack on the flop. Nitsche fell in fourth at O'Dwyers hands, getting his final ten big blinds in with ace-deuce in a blind-on-blind battle. O'Dwyer had pocket aces and took care of the German high roller without a sweat. O'Dwyer finished off Preben Stokkan in third place as well. Stokkan four-bet called pocket jacks from a 30-big blind stack against O'Dwyers ace-king. The American/Irishman found a king on the turn to end the Norwegian's bid in third. O'Dwyer would proceed to finish the tournament in style in the heads-up against Gianluca Speranza. O'Dwyer started the heads-up with a 2:1 chip lead, but Speranza would be chipping up to almost even; both had 50 million in chips in the 300,000/600,000 level, according to partypoker LIVE's in-house reporting that covered this event (account required). However, O'Dwyer turned things his way and Speranza found himself left with fewer than ten big blinds soon enough. Speranza called his final few bigs all in with seven-three of spades, only to get shown the aces by O'Dwyer. The aces held up to bring a fitting conclusion to an amazing week for O'Dwyer at the partypoker LIVE MILLIONS UK event. PokerNews has been present at the partypoker LIVE MILLIONS UK stop all week, focusing its live coverage on the large-field events. Read back about the Main Event, Finale and Open in our live reporting section.